Comment: Long princess-style cut in a purple Zircon. Free of inclusions. Mild purple mixed with orange, Bordeaux red and cinnamon. Definitely big enough for a pendant. 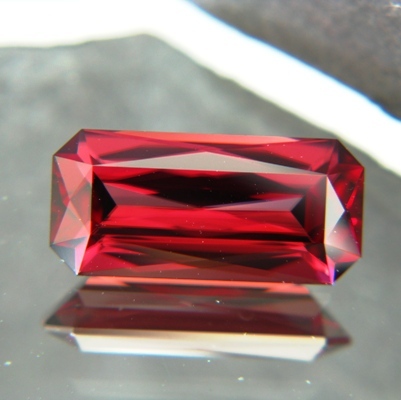 Such a Zircon offers very good value in big sizes. Precision cutting. Pretty and big, but neither terribly expensive nor artificial.